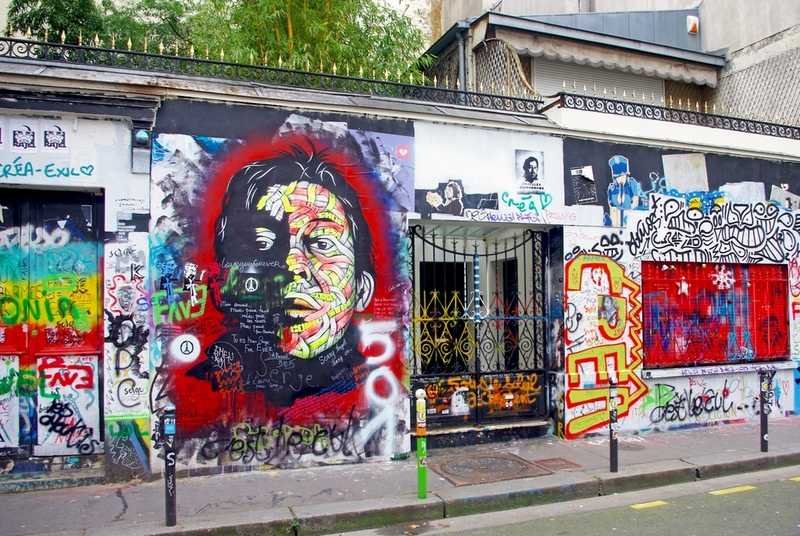 Have you heard of rue Verneuil in Paris? Probably not, but surely you’ve heard of the name of one of its famous residents: Serge Gainsbourg. 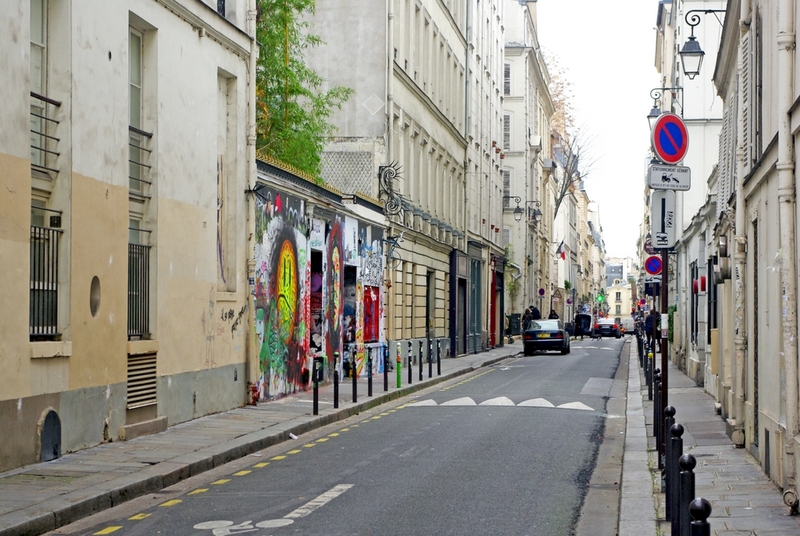 The rue Verneuil is a long quiet and conventional street in the 7th arrondissement of Paris. It is also an old street as it was created in 1640 and takes its name from Henri de Bourbon-Verneuil (1601-1682), one of king Henri IV’s legitimated sons. When entering the street from the rue des Saints-Pères, one does not need to walk far before stepping onto a curious estate (number 5 bis) protected by a high outer wall completely covered with colourful tags. 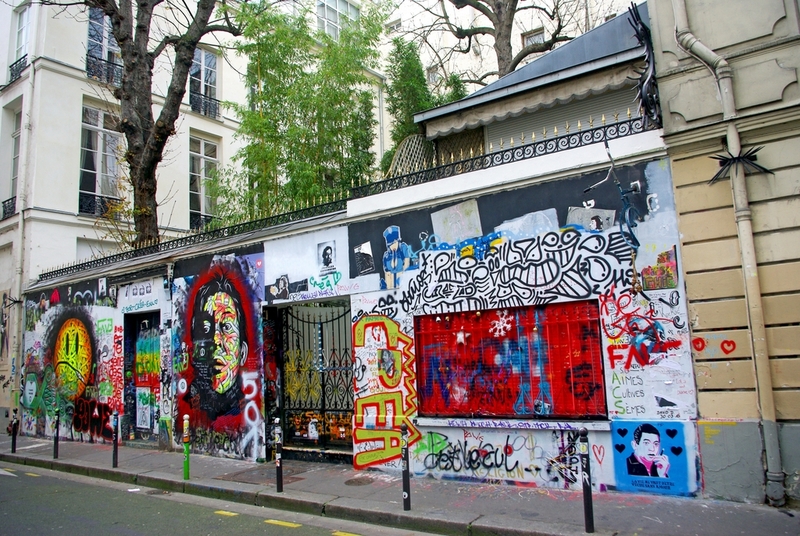 These tribute graffiti are arguably the most famous in Paris because they pay homage to a celebrity that had once resided in the street since 1969. We’re talking of Serge Gainsbourg (1928-1991), a French singer, songwriter, pianist, film composer, poet, painter, screenwriter, writer, actor, and director who is regarded as one of the most important figures in French popular music. Gainsbarre (as he was nicknamed by the French) was renowned for his often provocative and scandalous releases including the songs “Je t’aime, moi non plus“. 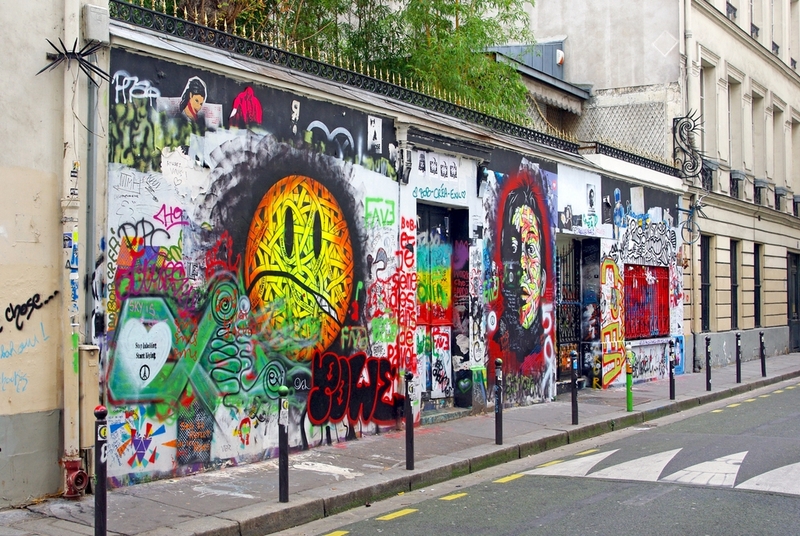 Even in his lifetime, fans already decorated the wall of the property with tags, much to the discontent of the neighbourhood which demanded a regular cleaning. The Gitanes-smocking provocateur passed away at his home on 2 March 1991 and since his death, it is said that daughter Charlotte Gainsbourg would have left everything intact inside. The place quickly became a celebrated shrine for his fans. The place abounds with anecdotes. It was there that Juliette Gréco – who then lived with Michel Piccoli at number 33 in the same street, inspired Serge Gainsbourg in writing the song La Javanaise.